Never underestimate a piece of furniture. Your couch isn’t just a couch. It’s where you stretch out after a tough day at the office, where you’ll laugh with old friends, cry at old movies, or celebrate a winning goal. Your couch will play witness to some of the most important moments of your life, so shouldn’t you put some thought into where you should get it from? Making the right choice is a lofty decision so it’s vital to get some help from an expert. 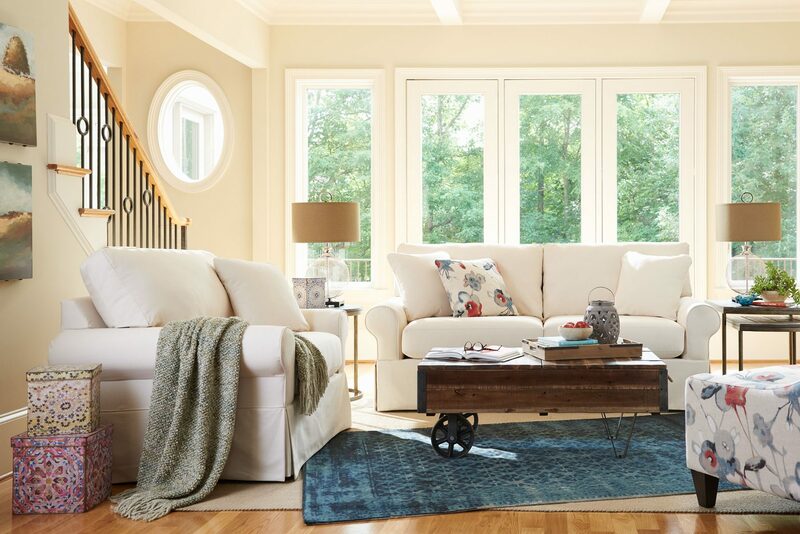 You’ll find just that at La-Z-Boy’s tenth new concept store in Whitby, where experts are on hand to help you find the perfect piece of furniture to fit your life. Like the company’s other franchises, the Whitby storefront arranges its furniture according to style. So to celebrate its opening, here’s some of what you’ll find to give you a little inspiration on designing your space. Check out La-Z-Boy’s in-home design service to get help with creating the perfect space. Its professional designers work with customers to determine their personal style, complementary colour schemes, room layout, and individual pieces that make a house or condo feel more like a home. They’re also able to work with a strict budgets to create fresh new looks. La-Z-Boy is known for its stylish and modern furniture, but gives back to people in need. It partners with local Ronald McDonald houses so that community members can stay there for as long as they need, and a portion of each sale made is used to help make this happen.